Anyone have any experience or knowledge of these electric locos running on DCC. Are they easy to convert from DC? Are they reliable or do they have vices? Accucraft typically used Pittman gearhead servo motors, they cannot take prolonged high loads and normally these locos were freewheeling, so it often played havoc with BEMF on many decoders. I'd recommend Zimo, that has been the most successful over here. I have several Accucraft / AML locos with these motors. Also, there was a 6v regulator tucked in a very sneaky place in the loco, so I basically discovered and documented all the wiring. I also rewired the plug between the loco and tender to take advantage of more control, many of the positions in the connector were unused. Nah. It was a battery/RC conversion on an Accucraft K-27 with a Sierra sound card. No DCC involved. Got all the bits together but still got to summon up the courage to dove in and do it. Some very helpful, knowledgeable and generous folk here . There was a lot of mucking about ensuring the Sierra didn't get fed any PWM.......I think. 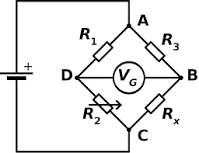 Bridge rectifiers, oh my head ! My 6v regulator was found underneath part of the casting that supported the drive... turns out that it was a 3 terminal regulator, and you could not see it from above. a wire went from the head of the loco, through this structure and back out. what made me nuts was how it got converted to 6v... thought it was just a wire going through, but turns out the regulator was grounded to the metal, so while it looked as a single wire going through it was one in, connected to the regulator, then the one out was on the regulator output. Elsewhere the ground to the chassis was found, that supplied the 3rd connection to the regulator... very tricky! I actually found it by feel, following the wire with my finger, and finding a lump! Trust no one ha ha! Seriously, do it bit by bit, all the while checking that the wires you are using are truly isolated from others, I start with the motor, then speaker, then headlight, etc. one by one. I'll let you off.. (others may not)! Maybe it was a mobile resistance testing laboratory? I wonder if you had to wait for the heaters, before you could start the the engine? One thing that needs to be considered is that some of Accucraft's locomotives pick up one polarity from the tender rather than opposite locomotive wheels. The draw-bar becomes electrical continuity. Does this mean the whole chassis becomes same polarity as one rail, or is the drawbar isolated within the loco? My early Accucraft C-16 and C-19 both have only one side of the tender wheels insulated at the axle which makes the tender body one polarity. My Accucraft C&S B4C 2-8-0 has graphite wipers on all tender wheels. It depends on the model of the C16 and C19. The early issue were the same as the K27..right side loco drivers, left side tender wheels (or the other way around). But the later issue had 'normal' pickups and all of the wiring in the tender ready for sound and DCC. I have an RC Accucraft C16 using this as it was the later issue (you can tell by the multi-pin connector from loco to tender). I think the issue irises on metal bodied, rail powered locomotives that have metal rods attached to the wheels. It's a matter of where and how to insulate the two sides. There were also different gear ratios over the years on models C-16 and C-19. First was similar to other manufacturers but too fast for prototype. Second was nice and slow but motor/gear speed noisy and third was somewhere in the middle. So, Adverse Camber, it sounds like you do not yet own one of the models you are seeking information on. It seems to start with you need to avoid earlier production models which do not have pick-ups on all wheels and somewhat varying wiring. At this point we then go into the realms of what these products are like generally. I have Accucraft 1:20.3 locos (C-19, K-27, K-28, Shay, Climax and Porter) both track powered and live steam. Each model type, whether electric or steam powered, share the same basic structures and motions. They are generally well built and reliable products. And visually pleasing and accurate models to boot. To my mind though they suffer from very poor documentation and schematics information, unlike Bachmann's similarly scaled products that you may or may not be familiar with. As mentioned before, it depends on when they were produced as to how they are wired up and what prime mover is installed. And Accucraft, as I found out, in all probability won't be able to help you either with advise on that.